As a business owner, you have probably noticed your employees looking at the telltale blue screen of Facebook dozens of times as you walk through the office. The average person will check his or her Facebook and Twitter accounts a whopping fourteen times per day—and while bosses nationwide may lose patience with the social media obsession, a true entrepreneur will use it to his advantage. Set goals. What do you hope to achieve by using Facebook, Twitter, or YouTube for your business? You should consider the question carefully, and create short- and long-term goals to get the desired results. If you already have a robust website for your business (and you should! ), your goal can be to raise awareness of your business, attract local clientele, provide information, or generate leads. Each platform will offer a way to track your success (such as shares, likes, etc. ), making it easy to see at a glance which posts get the most engagement from the public. Provide value. Social media platforms give you an inside look at the lives of your clients, giving you a unique opportunity to organically provide what they want. If your followers are posting about medical bills after a car accident or problems getting their truck repaired after a crash, posting a timely article about how to get insurance claims paid will give you traffic and give your followers the answers they are looking for. Resist the urge to “sell yourself” by talking about your case record or offering contact information (that’s what your website is for). Instead, give your audience something of value, like an answer to a common question or a link to an entertaining news story that is relevant to your business. Be social! Remember: website visitors want help; Facebook visitors want entertainment. This is the place to share pictures of your staff, office activities, participation in local events, and short videos of holiday parties. Being social is about having fun, so always be yourself on your social media sites—share your passions, likes, and dislikes. Show that you are a person and not just a name on a sign. People want to work with people, not the business. The best social media strategies will need to be monitored and updated constantly to stay competitive, and can take a bite out of your precious free time. 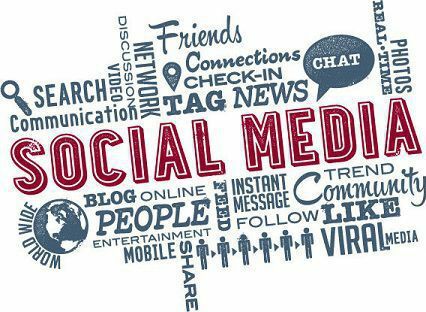 The social media mavens at Foster Web Marketing can help you decide which platforms are best for your firm, determine the tone of your pages, set up the accounts you need, or even run your entire social media campaign for you. Contact us today at 866-460-3724 to have us create your fully-integrated social media strategy, or download a free copy of our social media guide to learn more about taking control of your online presence.